2016 Event Recap: Thanks for Your Support! Our 2016 charity dinner was held to benefit Dawson Waite, Hayden Rettew, and Heather Carlock. We were able to give over $5,000 to each family thanks to a great turnout and some wonderful sponsors! Read their stories below and click here to view the 2016 gallery. 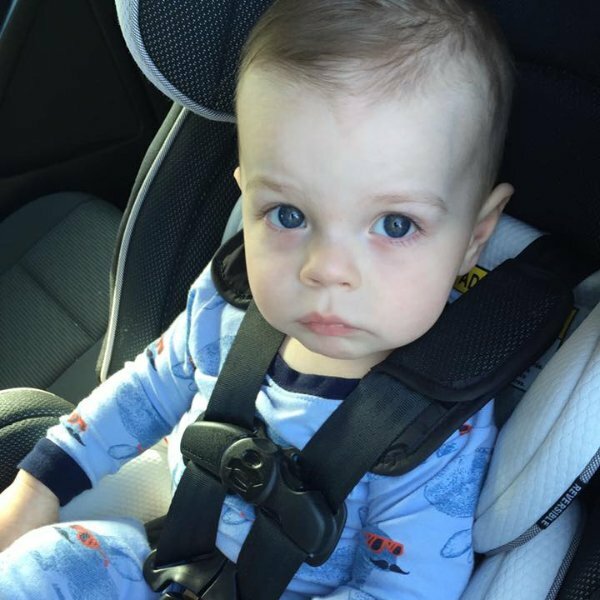 Dawson is a sweet little boy who has x-linked myotubular myopathy. This condition causes the muscles to be weak, making it difficult for Dawson to sit up on his own. It also impairs his ability to eat so he requires a feeding tube. The condition can also make breathing on his own difficult. Last year, Dawson spend over 185 days in the hospital. He developed pneumothorax, which led to a hemothorax. A chest tube was needed. Dawson spent 10+ hours in the OR and received multiple bags of blood. In the end, the lower part of his lung had to be removed. Multiple trach and respiratory infections that required IV antibiotics followed. Dawson then had his trach re-dilated and underwent multiple liver biopsies. Five cm of his bowel was removed… Through it all, Dawson proved to be a fighter. UPDATE: Dawson Asher Waite, 2, gained his angel wings at Penn State Hershey Children’s Hospital on Thursday, April 6, 2017. His final days were surrounded by family and friends that Dawson had touched in many ways throughout his short, yet very memorable life. Dawson's family would like to thank everyone who attended last year's event for their continued prayers and support during this difficult time. Dawson spent many days in the hospital and hospice care this spring so the money raised at last year's event has helped in many ways. Through the compassionate decision to donate organ and tissue to others in need, Dawson was able to save a life with his heart valves. To read Dawson's entire obituary, click here. Hayden is a little boy with Dravet Syndrome. Born on March 10, 2015, Hayden’s family was thankful for a healthy little boy! It wasn’t until Hayden’s two-month wellness check that he experienced his first seizure. Doctors assumed it was a febrile seizure and that it wouldn’t happen again. Six weeks later, Hayden had another seizure. This time 911 was called and the seizure lasted almost an hour. It was stopped at the hospital with Ativan. Tests came back normal and Hayden was transferred to Hershey Children’s Hospital for observation. Additional tests came back normal and doctors discussed the possibility of epilepsy. Two weeks after beginning seizure medication, Hayden’s mother noticed that Hayden was regularly jerking in his sleep and then the jerking began happening more frequently. Turning to Children’s Hospital of Philadelphia for answers, Hayden’s family spent months waiting while Hayden underwent additional tests. Working with a great neurologist, Dr. Smith, it was determined that Hayden suffers from Dravet Syndrome – not the answer Hayden’s parents were hoping for, but finally a diagnosis! Hayden currently takes Tomomax three times a day and has been doing really well with his medication. Heather Carlock received a second chance at life in 2013 when she underwent surgery to have her large intestine removed. After surgery she experienced multiple small-bowel obstructions. The following year she suffered a volvulus, a condition in which the small intestine becomes twisted, which requires surgery. Doctors were not optimistic, but thanks to God and the support of her family, she made it through the surgery. Post-surgery, less than a foot of her small intestine – an organ that is typically about 20 feet long- remained. A small bowel transplant was essential to her survival. On March 24, 2016, Heather finally received her transplant! Before her health began to decline, Heather loved outdoor activities like hiking and fishing, but her time outdoors became extremely limited as she awaited the transplant. Following a full recovery, Heather looks forward to getting her life back and she’d love to experience what most people consider “normal” – spending time with her husband, Colin, and loved ones outside of a hospital setting. And more than anything she dreams of starting a family of her own one day, but now she needs your help! When Heather received her transplant she had to temporarily relocate 400 miles away from her home in order to be near the hospital. Her recovery and medical expenses have added up, not to mention travel, food, lodging and other expenses incurred throughout the process. Taking care of her medical needs has become Heather’s full-time job and she has had to stop working which only adds to the financial strain. UPDATE: Heather Carlock ended her battle with intestinal disease and cancer on August 18th, 2017. Her family continues to honor her legacy in their actions and words. In fields of glory with no end."